The Sawtooth Hoodie is a light-weight softshell jacket, in a Matrix DWS® stretch fabric, designed for fast-and-light year round mountain use. The Sawtooth Hoodie combines high levels of breathability with low-weight, making it great for use as a mid-layer under a shell, or as a stand-alone piece in warmer conditions. 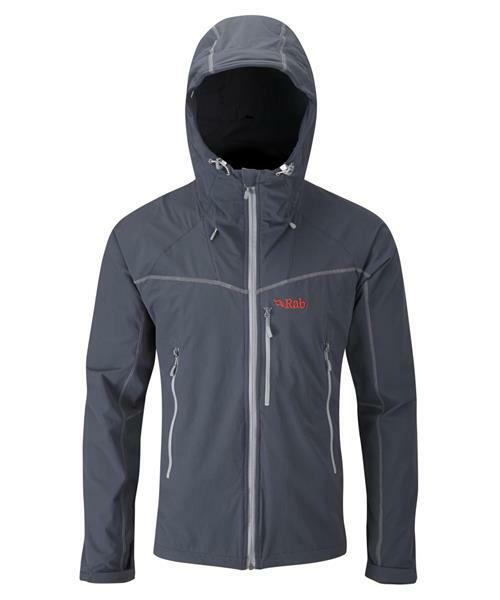 Technical features include a helmet-compatible hood, 2 YKK A-line hand pockets and contrast flatlock seams. The Matrix DWS™ fabric offers 30+ UPF protection making it ideal for use in summer conditions.